This system has been remanufactured. The panels have been removed intentionally to show the components. 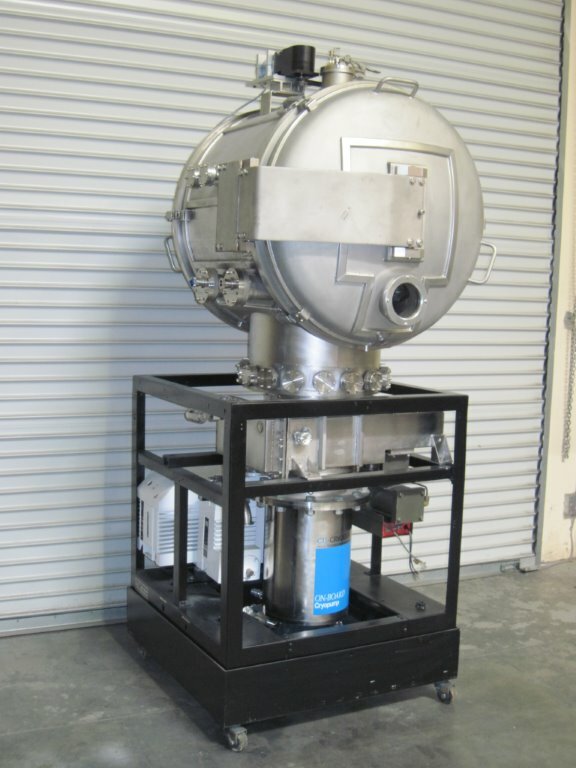 At an additional cost, this system can be set up for coating and fitted with either an E Gun, resistive source or sputtering source. Or set up for use as a thermal chamber and fitted with a heating / cooling shroud.